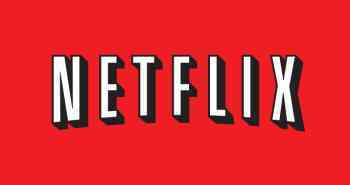 Streaming movies and TV over the web on Netflix is the biggest source of traffic in North America. When Netflix started gaining steam among my friends in the early Oughts, I was impressed at being able to get virtually any film I wanted delivered to my door - even if I rarely watched them. Now though, I'm still a member of Netflix but I don't bother to have DVDs mailed to me anymore because I can stream anything I want through my Xbox 360. It appears that I'm not alone as a report from broadband network company Sandvine states that 29.7 percent of all downstream internet traffic comes from Netflix streaming during peak usage hours. If you combine that with offer forms of "real-time entertainment" like Hulu or videos on The Escapist, the traffic accounts for 49.2 percent of peak bandwidth usage in North America. The boost in traffic for Netflix - a growth of 44 percent from Sandvine's report last fall - points to the growing trend for people to access entertainment on-demand. If you consider the rise of DVR services, we are definitely no longer content with being tied to a schedule of programming. "That speaks to an insatiable demand we all have for accessing information and entertainment over different mediums at different times," said Tom Donnelly from Sandvine. Science-fiction has portrayed entertainment in various ways, from the "walls" of television in Fahrenheit 451 to the multiple channel watching Marty McFly Jr. indulges in Back to the Future II. But even such fantasies will pale compared to how entertainment will be distributed in even five years time. Soon, humans will be able to access whatever content we want, whenever we want. Netflix is only the beginning.